According to attendees at the recent Solvang Greyhounds Festival in California, it was announced that the osteosarcoma cancer gene in greyhounds has been identified by Dr. Guillermo Couto, DVM, dipl. ACVIM, founder of the Ohio State University Greyhounds Health and Wellness Program and Dr. Carlos E. Alvarez, PhD, of The Research Institute at Nationwide Children’s Hospital. “I would not say that we have identified the Greyhound osteosarcoma gene. Rather, we have identified several candidate genome regions (each implicating one or more genes. When we claim validation in this work, we will be referring to 1) discovering candidates using genomewide genetic mapping and 2) confirming those results in a second group of dogs. “Osteosarcoma (OSA) is the most common cancer of the bone in both dogs and humans. A prime candidate for investigation of the genetic component of OSA is the Greyhound, which has the highest risk of OSA of any breed. However, despite significant effort, classical genetic approaches have not identified any Greyhound variant that accounts for most OSA cases in that breed. 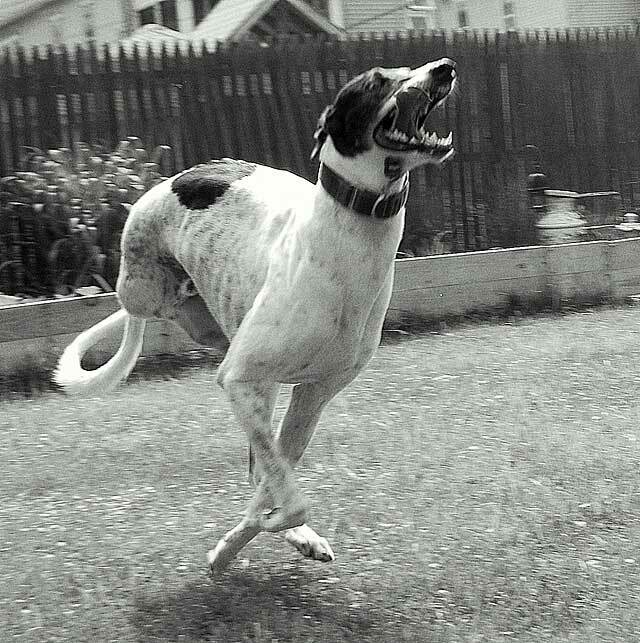 Dr. Alvarez proposes that Greyhound OSA variants have been directly or indirectly selected for in racing performance, consistent with the vastly elevated incidence in racing vs. show Greyhounds. If this is true and all racers carried an OSA mutation on both chromosomes, then this could not be detected using classical approaches (which require different genetic markers to distinguish cases v. controls). The study described above was just completed, official publication will follow. This exciting news carries various implications, such as the ability to identify this gene in humans. Dr. Cuoto announced that this finding is less than one week old and publication is still forthcoming. Dr. Cuoto presented at the Solvang Greyhounds Festival and discussed this study as well as the groundbreaking research conducted at the Greyhounds Health and Wellness Program. You can view his presentation about the program on the Solvang Greyhound website. The OSU program conducts extraordinary work for dogs with osteosarcoma and other bone cancers, with a focus on greyhounds. As well as research, Dr Couto and his team also offer an online consultation service for Greyhound owners and vets. For just $50 this extraordinary team will review x-rays of Greyhounds who are suspected to have osteosarcoma and offer treatment recommendations. Their work is funded entirely by donations and grants. To learn more, visit the Ohio State University Greyhounds Health and Wellness Program website. Not exactly sure what you mean Geoff. Please follow the links in our post for more information about this study. I think we’ve fixed the link to Dr. Cuoto’s presentation. You can now either right click on it to save it to your hard drive, or just click on the link to go directly to the Solvang Greyhounds website where you can download it there. I hope this works! I can’t access the “View his presentation…” link, either. It is apparently “forbidden”. Huh. That is so weird because I can. Drats! The link isn’t working. And I’m not positive, but it appears this is simply a proposal; no gene has actually been identified yet. The more money we give, the more likely he and his team will be able to execute the proposal and get an answer! Hi Katy, which link are you referring to? I checked all of them and they work. The link to the study is the one that Drs Cuoto & Alvarez performed, it was executed and completed just several weeks ago. I’m not sure I worded that properly. It’s the “View his presentation….” link. Supposedly I am not authorized to view it. Maybe once that link opens up, I can read the results.